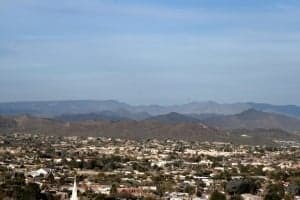 Residents of Phoenix make a living to help this city and their lives better. But every now and then, money becomes a factor. This is whatever short term goals Phoenix locals and businesses may have. Short Term Loans can fix that, and our auto title loans are the short term loans solution that’s easy to get. The reason is two-fold: First, getting our auto title loans as short term loans will help any goals or projects in mind. Second, if you do need money for emergencies, such as for rent, auto title loans can work for you as well. It’s important to remind our customers that the importance that there are SHORT TERM loans. It is ill-advised to get our programs if you intend to use them for a long-term purpose. Don’t expect a home mortgage payment to be covered under our auto title loans…unless you own a Ferrari or other custom built vehicle. All you need do is have a car, a title for that car, and a valid and current Arizona State-Issued Driver’s License. We may request additional paperwork; such as pay stubs or proof of address. Keep in mind that is entirely on a case-by-case basis. If you would like to contact our store to find out more information, please click here. Where Can Customers Find You In Phoenix? We are located on the Southwestern corner of North 28th Avenue and West Van Buren Street. Pretty straightforward. A constant reminder that these loans are for all residents living and working in the city of Phoenix!